Microsoft Edge supports the Windows Hello authenticator as a more personal and secure way to use biometrics authentication on the web for password-less and two-factor authentication scenarios. We’ve worked with the Chromium team to land Windows Hello support in the Web Authentication API in Chromium – you can try that experience out today by using Microsoft Edge Dev or Canary preview builds on the latest Windows 10 Insider Preview release. 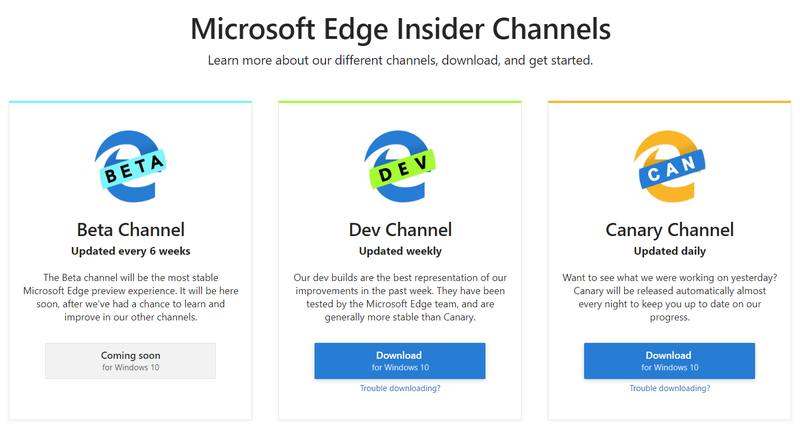 The post What to expect in the new Microsoft Edge Insider Channels appeared first on Microsoft Edge Blog.